Chinese shoppers with a taste for discounted luxury goods are in luck, as Florentia Village expands its network of designer outlets into central China and Hong Kong. While China’s luxury retailers fell well short of their goals in 2013, the major cause of the industry’s struggles was poor planning, not a government clampdown on bribery and draft, according to a survey conducted last week on Mingtiandi. 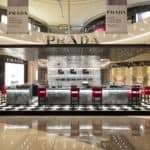 Global luxury brands and the mall developers that love them have hit hard times in China as Xi Jinping’s anti-corruption campaign has seen shoppers desert high end stores.